Day lighting Systems – Let the sun shine in! With the winter months right around the corner wouldn’t it be nice to bring a little more sun into your day? 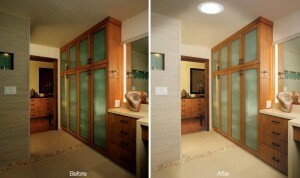 With a new Solatube skylight you can create more natural light in those dark areas throughout your home. 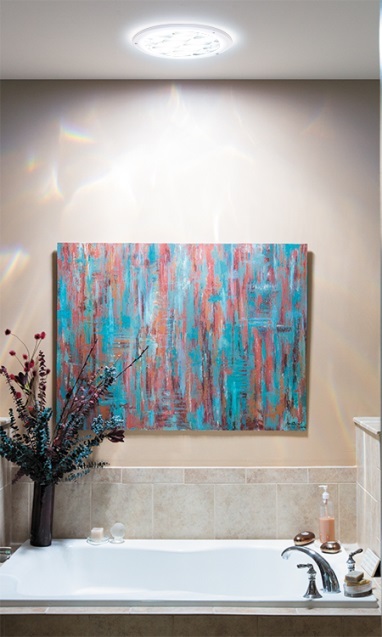 Whether it is a hallway, a bathroom, a master bedroom or maybe even a master bedroom closet, natural sunlight can transform a dark room into a bright and beautiful room. This is not your old “traditional” skylight. The Solatube Daylighting System has a leakproof design on almost any type of roof and is specifically designed to be installed within a couple of hours due to their patented fastening system and tube telescoping system. Even if there are obstacles in the attic, they can be avoided with the angle adapters that come standard. There will be no structural changes during the installation as the Solatube product is specifically designed to go around any obstacles that may present themselves in the attic. 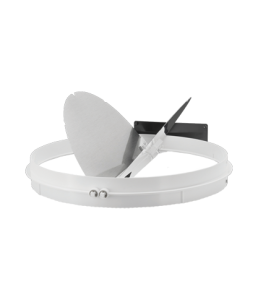 And because of the unique circular design that allows the rain and debris to bypass the rooftop dome, they are virtually maintenance free. 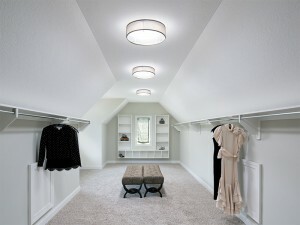 One of the bonus benefits of the Solatube Daylighting System is the Reduced Energy Savings that you will realize. Most customers become repeat customers not only for the energy savings but also for the unique opportunity and designs that are presented by the Solatube System. 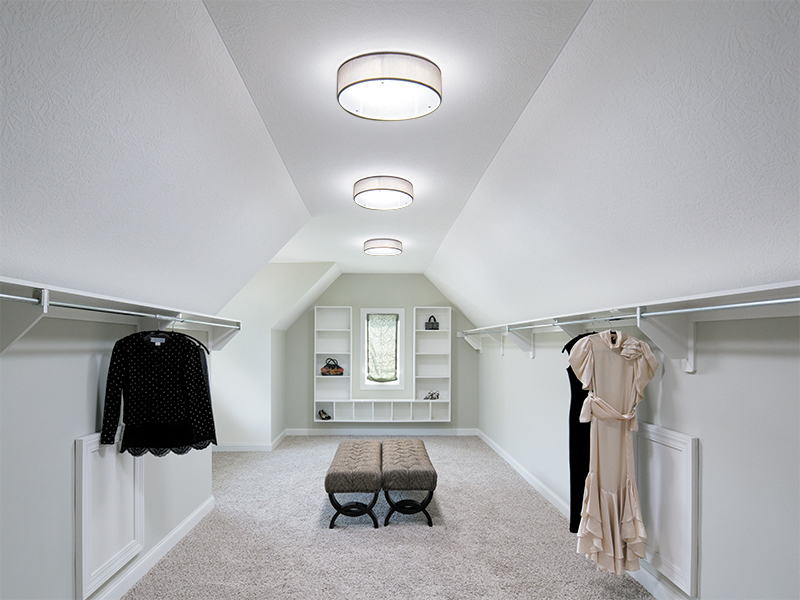 You can turn a small dark bathroom or laundry room into a bright and beautiful room by simply adding a Solatube Daylighting System to your space. And if you are worried about any trapped humidity in either one of these rooms we can easily install a ventilation Add-on Kit to your new installation. Having bright sunlight flooding into your home is great…unless that room is right near the area where you sleep, or like to take an afternoon nap. 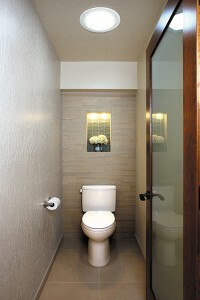 That is why we offer the optional Daylight Dimmer. This patented butter fly baffle is simple and easy to use. You can operate it by installing a wall mounted switch. The day lighting system can not only deliver the sunlight to the interior of your home but it can also deliver it with style. There are 7 different options to choose from but that is not all as there are also 4 different types of effect lenses that allow you to totally customize your new day lighting system to match you exactly. So…don’t let the cold winter days get you down, instead bring that warm sun in to those spaces that need it the most and start enjoying the warmth and light brought in from your new Daylighting System.